People born specifically on the 22nd of October are envisaged to be very determined with a strong sense of purpose as a consequence of their Libra/Scorpio cusp zodiacal positioning. 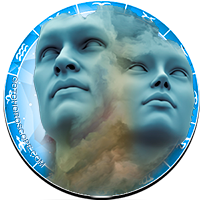 The ruling astrological planet for this particular day is Uranus predetermining you to be highly intuitive and understanding. If you have this birthday you are inclined to be proudly ambitious with a yearning for praise and recognition. Creative and practical your inquisitive quick mind has a playful streak that keeps your young modern outlook. Fairly logical and emotionally quite controlled you are especially good at calming disputes between others. Forward thinking and a tad impulsive with an abundance of ideas you have a tendency to normally follow your natural instincts. Individuals with an October the twenty second birthday possess a great sense of humor and are rather charming, attractive and intelligent. Honest and self analyzing in manner you will ordinarily look on the bright side of things in most circumstances. The analytical intelligence combined with an artistic nature attributable to a person born on the twenty second of October can help determine career choice. It is unlikely for earning potential to be a deciding factor in a preferred job. Incredibly purposeful in your approach you like to be praised and recognized so any occupation that fills this specific need and stimulates your creativity is ideal. Although money may be unimportant you do consider it a necessity to support your desired lifestyle. You are not materialistic but you do favor being surrounded by basic comforts and have the patience to save for highly priced items. 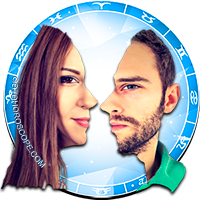 For a Libra, the person born on the twenty second day of October is typically a little idealistic and exceedingly romantic concerning personal love affairs. 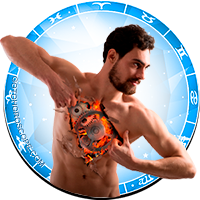 The touch of astrological Scorpion intensity mixed with your Libran idealism requires you to feel completely comfortable and in control before you will contemplate committing fully to a long term loving partnership. You have the inclination to love deeply and your fragile emotions will instinctively know a soul mate's feelings and wishes. 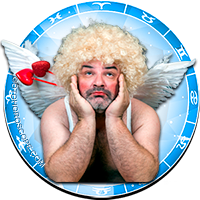 Despite your charisma and caring, warm generous attitude you can also be occasionally erratic, changeable and demanding as well as annoyingly indecisive. A perfect relationship partner will understand your requisite for some time alone once in a while to recharge your energies. Between the sheets you are commonly enthusiastic, persuasively seductive, open-minded and passionate. 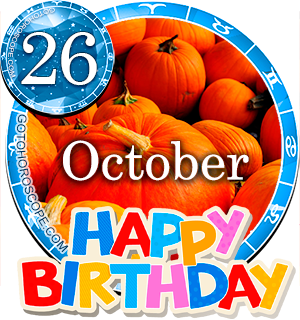 The usual healthiness experienced by those born on October 22nd is often partly retained by an avid concern with your physical appearance. In spite of this you can associate food and drink with happy fun times and so be prone to comfort eating in reaction to an emotional upset. Your skin and kidneys could be sensitive health areas you should perhaps take extra care of. Drinking the recommended daily amount of water is advisable to help minimize these particular sensitivities. People born on this day should try and keep as active as possible in addition to spending lots of time outdoors in the fresh air for a sense of maximum vitality. Your main strengths of character are probably seen in your high levels of determination and practicality. 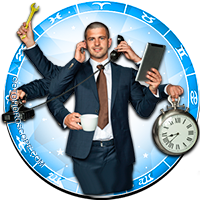 Along with your sharp intuition and analysis of yourself these positive traits allow you to make favorable moves and get things done. Your general optimism and keen curiosity are additional useful fortes. The personality weaknesses for those born on October 22nd seem to transpire frequently if you are feeling angry, confused or disappointed. These negative tendencies may include varying degrees of disruptive, stubborn or controlling behavior exposing the potentially moody side to your otherwise genial balanced individuality. Being born on the 22nd of October directs you to be tenacious in the pursuit of goals often totally ignoring any barriers. Full of positivity and expectant of promising outcomes you are wonderfully motivated to be successful in achieving ambitions. Your fine combination of talent and ability gets you noticed in your efforts and can inspire others around you. 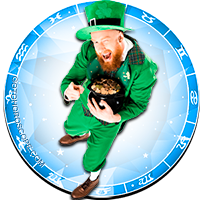 Dreams are likely to connect and relate to your humorous spirited imagination or your typified star sign longing for peace and harmony. If anything is puzzling your intense curiousness it's theme could have the likelihood to feature in some of your lively dreaming sequences. As you were born on the twenty second day of the month the double two in your birth date qualifies you for a Root number of Four. This numerical reference to your birthday has the keyword 'Honesty' reflecting your anticipated open truthfulness and composed sincerity in most situations. The 22nd Major Arcana Tarot card representing the Fool is associated with your birthday. This symbolizes your positive futuristic thought and encourages you to always look before you leap. The lucky gemstone for October the twenty second birthdays is Topaz, wearing it close is imagined to absorb surrounding tensions and attract happiness and prosperity. 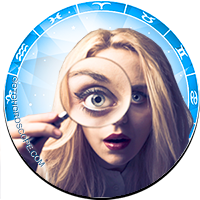 The powerful planet Venus is assumed most astrologically influential regarding the probabilities of every Libra personality. The actual day you were born on, the twenty second of October, is ruled over by Uranus's influence adding further variations to your probable originality. Your youthful commonsensical yet fun demeanor and mindset are a result of Scorpio's hint of presence. Your instinctive discernment grants you the faculty to not take everything at face value. If you can avoid over reacting to the negativity of anger, confusion or discouragement your occasional moodiness should decrease. An ending thought for people born on October the 22nd suggests nurturing your kindness and compassion by not being afraid to show your true feelings to those that matter within your family and friend circle. Sticking to your values will also prove advantageous. Great comments, feel great its my 70th. Very cool. Happy Birthday to all you lovely people born on this special day. Dang ole dang...eerily spot on! This is pretty bang on. October 22, 64. Would like to know if I am a Scorpio Dragon or a Libra Dragon - born at 10pm. A bit of both seem to apply but being on the cusp makes everything so confusing, especially when traits of the other sign start to surface. I find I am more Libra in spring and the beginning of summer and more Scorpio throughout the rest of the year. Anyone else? Its hard to not believe when you read something that comes across as so accurate. Literally hit the nail on the head here! Shout out to the 22nd crew!!! lucky to be born on this day!!!! "An ending thought for people born on October the 22nd suggests nurturing your kindness and compassion by not being afraid to show your true feelings to those that matter within your family and friend circle." Yep. Thanks for that reminder. WOW now im soooo confident. Best analysis yet. Almost perfect. "Fairly logical" we are the essence of logic. And according to Bishop Usher we were born on the day the earth was created. Love my Bday.